The Hall is the heart of the College. 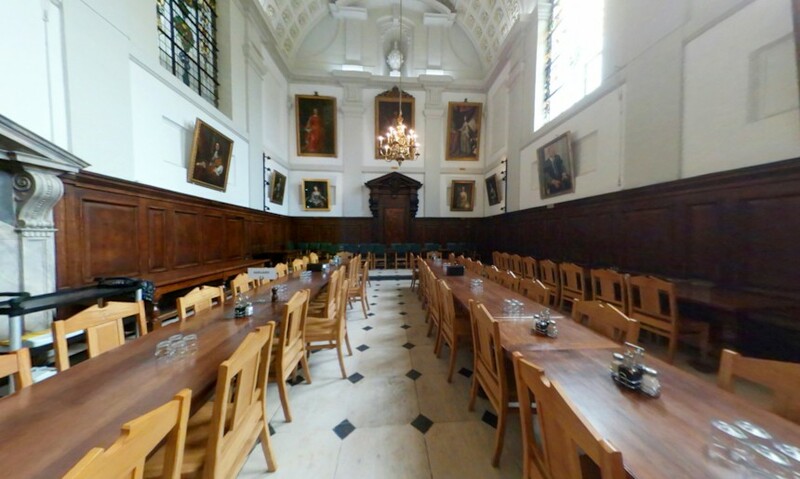 The Hall is an exclusive space to hire for banquet dinners. It is an impressive and elegant room in the decadent Baroque style which seats 120 to 150 guests on long traditional wooden tables and the elevated High Table. Breakfast is served daily in the Hall as well as Conference lunches and dinners. Layouts Long tables of 34 or smaller tables of 16. Features Black and white marble floor, wooden dining tables and oak chairs. White table linen and candelabras provided for Gala dinners.